Many Nevada residents are advised to create revocable trusts during the estate-planning process. However, many are hesitant to do so because they do not entirely understand how revocable trusts work. Further, they may not understand the benefits and risks. A revocable trust is created — and can be changed or revoked — during the life of the grantor, who is its creator. That person can be both the trustee and the beneficiary of the trust during his or her lifetime. Upon death, an alternate trustee will administer the trust in accordance with its terms. 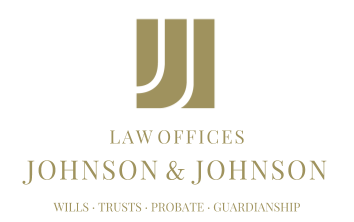 Any assets put into the trust will not need to go through probate, which can save time and money. Even though the trust holds the assets, the assets are still considered to be part of the grantor’s taxable estate. Creditors may still be able to attach the assets in the trust, and they could still be used to satisfy a legal judgment. However, for many people, these risks are worth the benefits. In many cases, revocable trusts become irrevocable upon the death of the grantor, which means they can no longer be changed or revoked. Understanding some basic facts about this type of trust can help a Nevada resident determine whether it will help meet his or her estate-planning goals. Like other trusts, certain language must be included, and it must be executed in accordance with state laws in order to ensure that it is enforceable. For this reason, it is advisable to seek the counsel of someone familiar with estate planning.